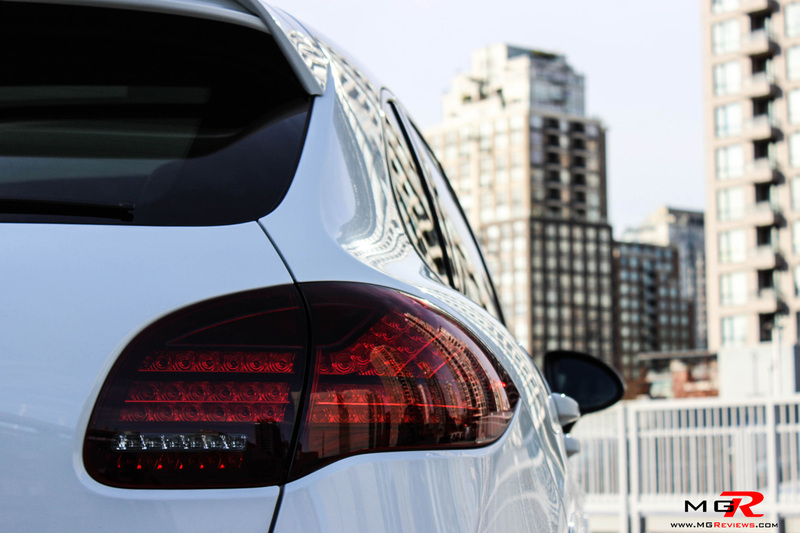 If you’ve had to say goodbye to the sports car because of a new family, don’t despair, the 2013 Porsche Cayenne GTS perfectly blends the agility of the sports car with the size and functionality of an SUV. 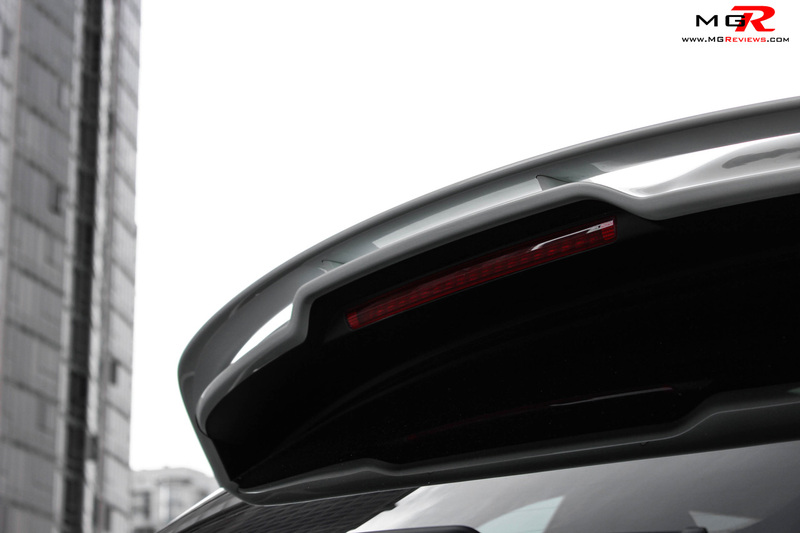 Performance – I’ll admit it, I have never been a big fan of SUVs. I always had the misconception that they would roll over in any corner and had absolutely no driving pleasure whatsoever. 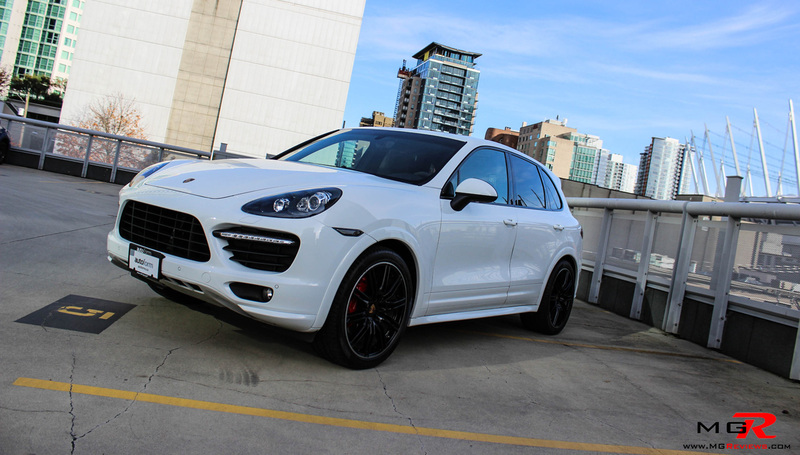 So of course I was skeptical when I first stepped foot in this Cayenne GTS for the first time. 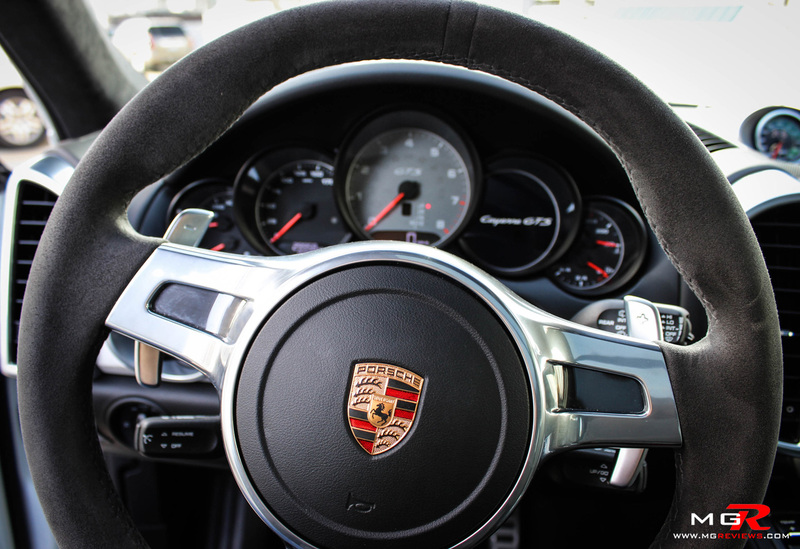 But as soon as I pushed the “Sport” button and buried my foot in the go faster pedal, all of my misconceptions and stereotypes about SUVs went away as fast as this Porsche can accelerate (which is stupidly quick for an SUV). 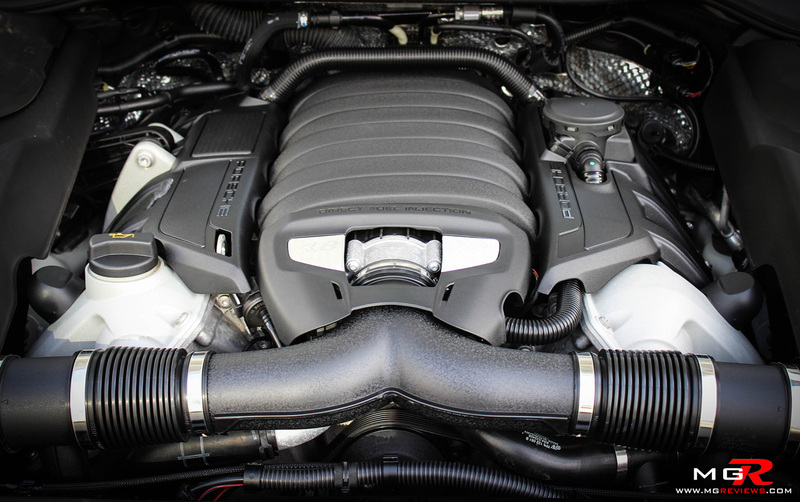 420hp and 380lb-ft of torque push this 4400+ lb beast to a top speed of 261km/h. I have been in quick cars before but to have such fast acceleration from something the size of a small planet just surprised me like no other vehicle did. 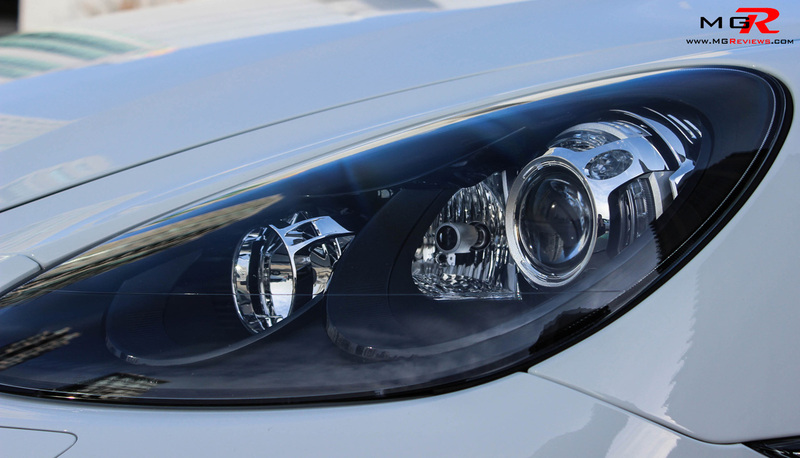 When you’re not in a hurry, the engine becomes civilized and offers smooth power from very low rpms. 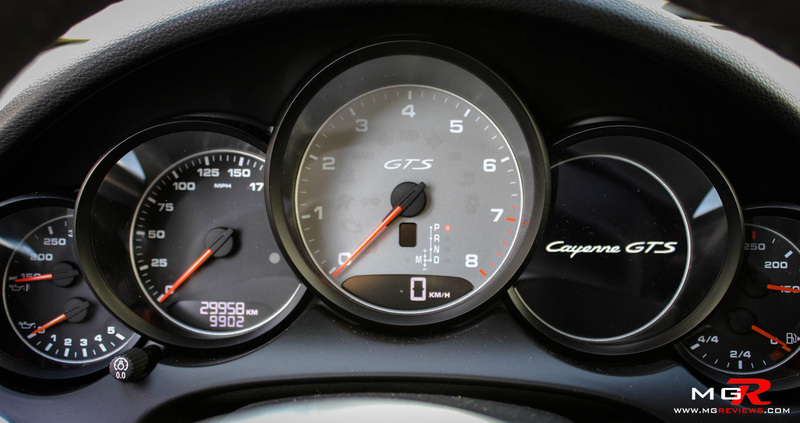 So much so, that I found myself not needing to exceed 2000rpms when keeping up with traffic on city streets. Not only did the engine’s power blow my mind but the phenomenal 6 piston front and 4 piston rear brakes stopped this SUV like as though it was a light sports car. Brake pedal feel is firm and gives you confidence to stomp on it without having to worry about locking up the massive 20” wheels. 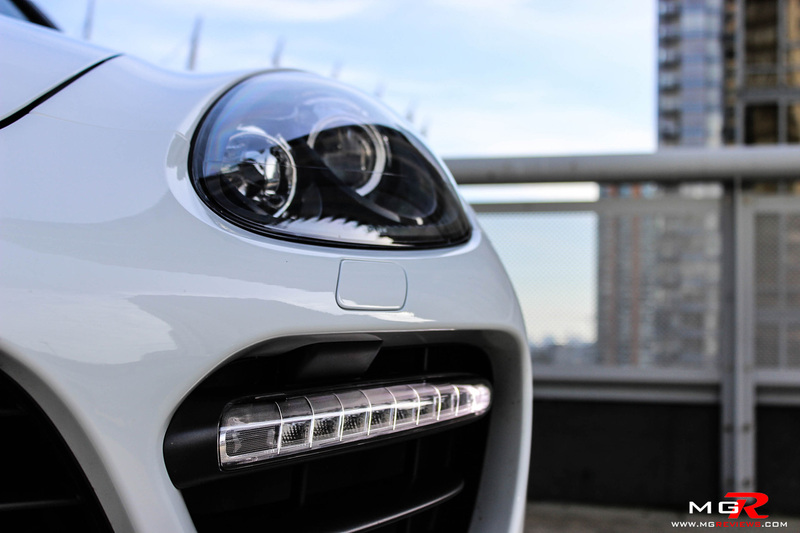 However Porsches are not primarily known for massive power and acceleration, they’re mainly known for handling. 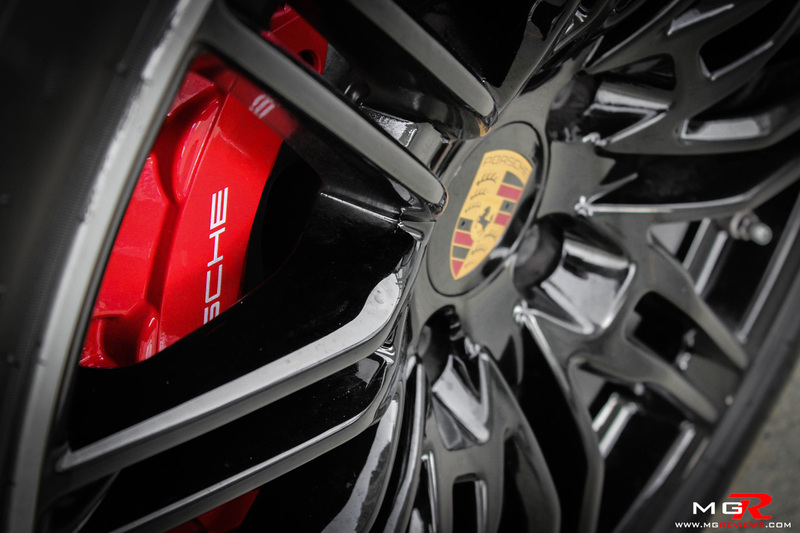 The Cayenne GTS is fitted with Porsche’s all wheel drive system (PTM) and Porsche’s active suspension management (PASM). 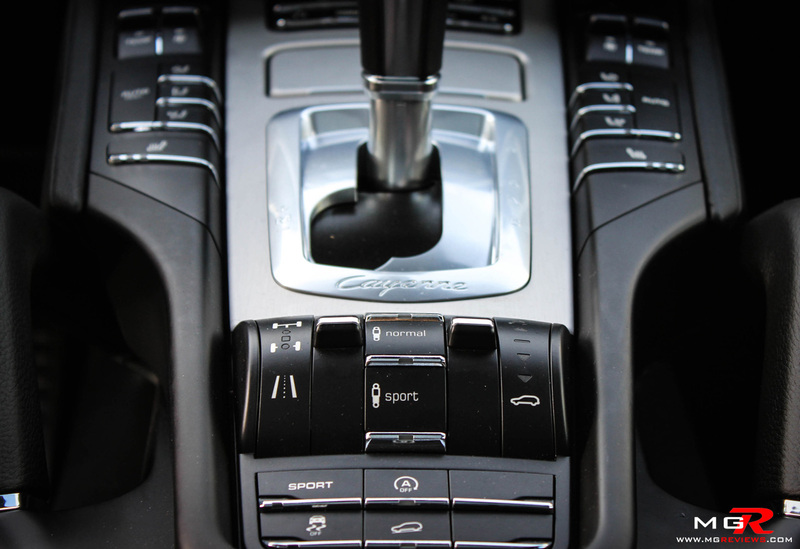 In sport mode, the PASM system lowers the Cayenne automatically and firms up the suspension limiting the body’s roll in corners. It sheds all of its 4400+ lb weight and behaves similarly to a sports sedan through twisty corners, it’s almost as though it is defying the laws of physics because your mind cannot comprehend how such a massive vehicle can corner so quickly. 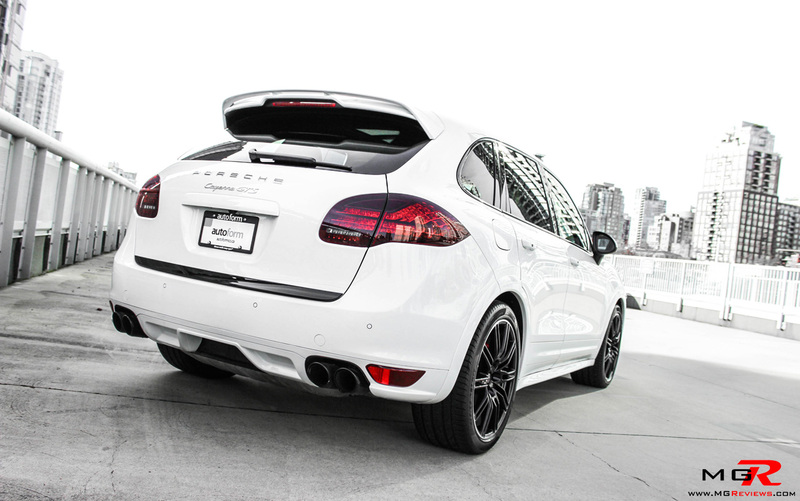 Best of all, the GTS can perform this brilliantly even with 4 other people in the vehicle and a fully loaded trunk. 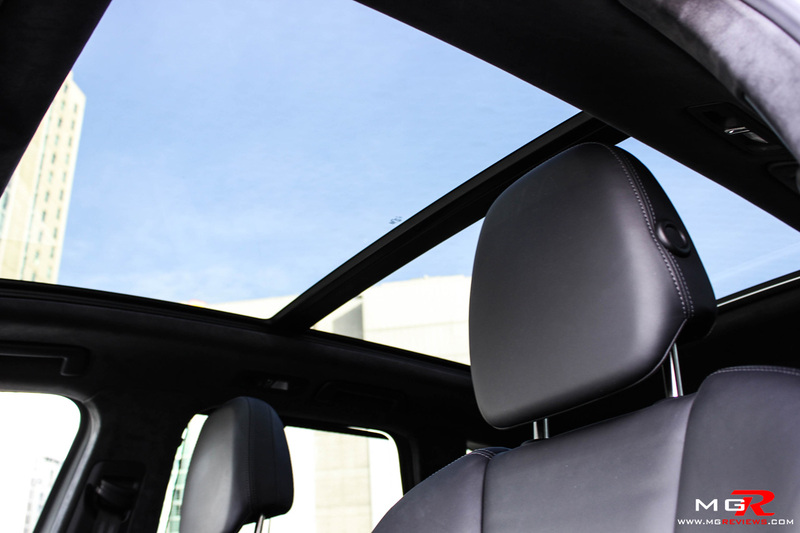 Comfort – The interior space of the Cayenne is massive. 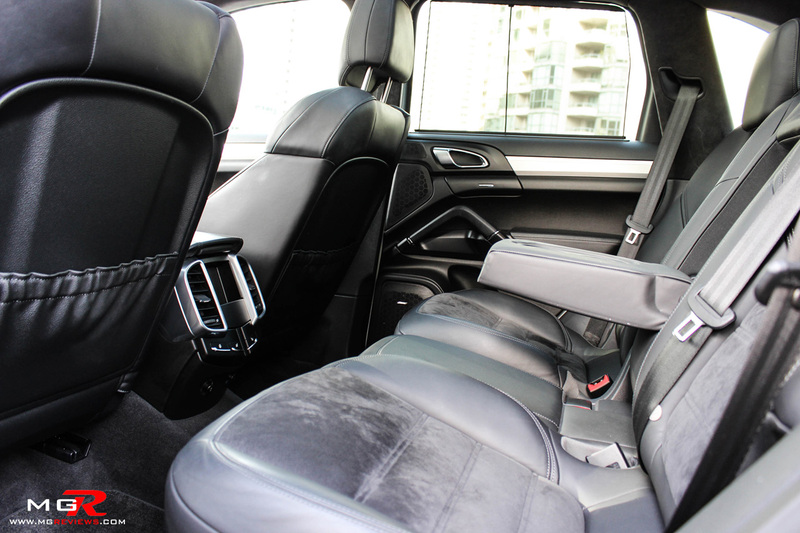 The SUV itself doesn’t look that big from the outside but inside the rear leg and head room is massive, even for those over 6’ tall. 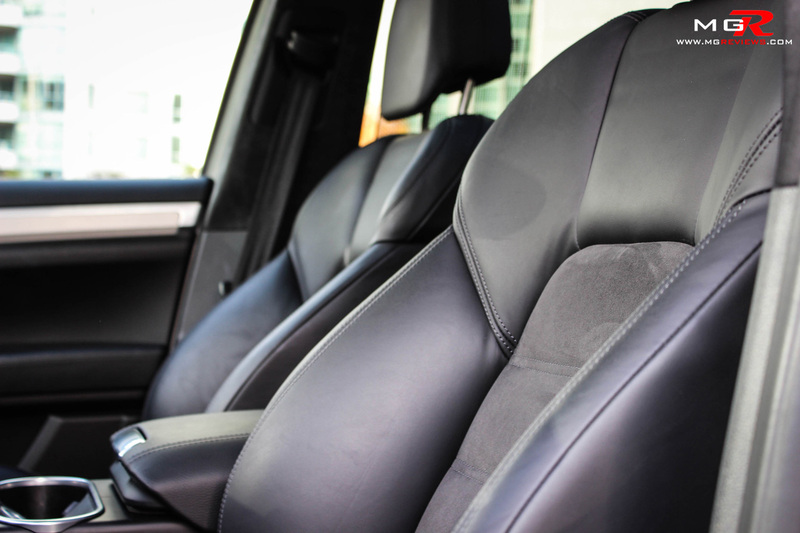 The GTS model comes standard with “GTS Sport” seats which have more support over the standard seats to hold you in the corners but they’re actually still comfortable and they look really good in Alcantara with black leather highlights. 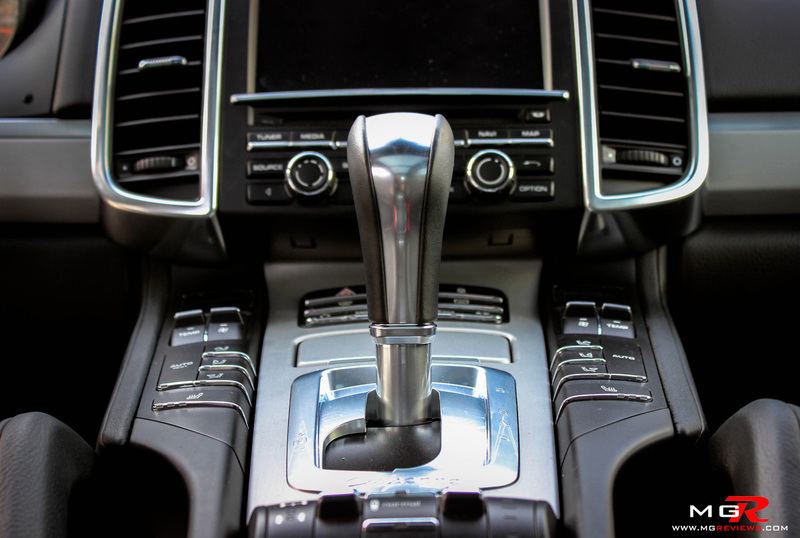 The center console and dash are carryovers from the Panamera sedan with minute differences in some of the controls such as the ride height adjust and the locking differential controls. 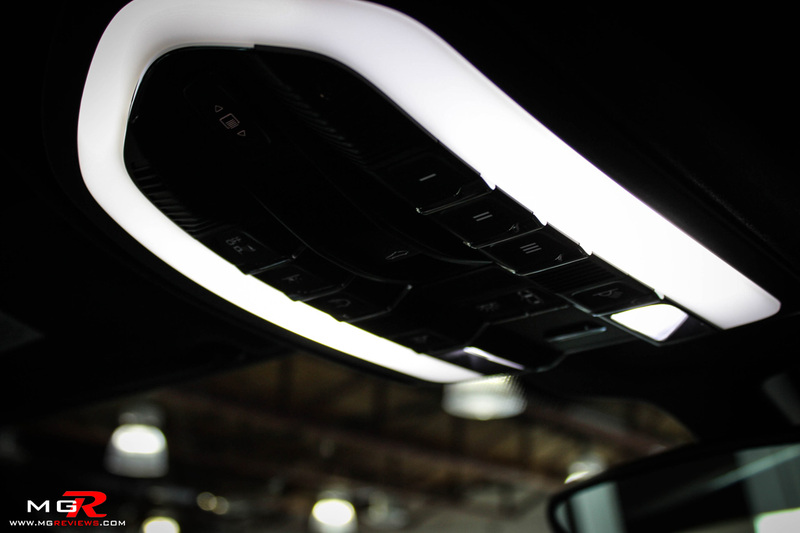 I also love some of the little details in the cabin such as the “mood lighting” in the foot wells and around the panoramic roof controls and also the fact that the controls for the roof look like they belong on the space shuttle. 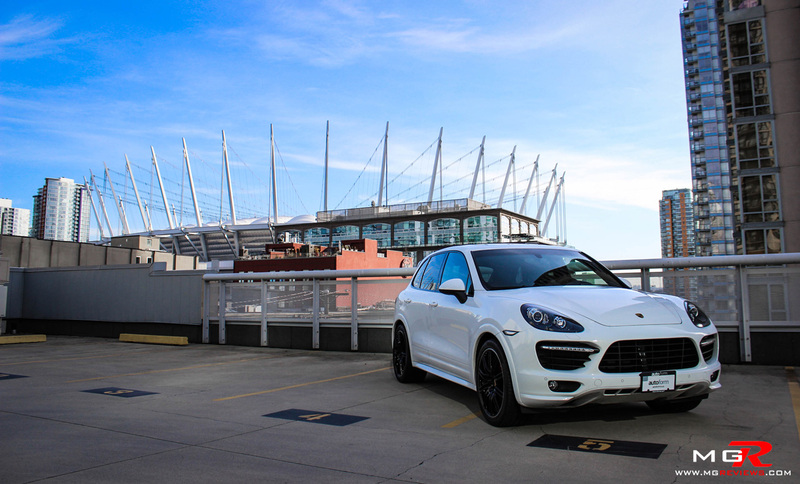 Porsche also likes to stuff every luxury model with state of the art electronic gadgets and this Cayenne is no exception. 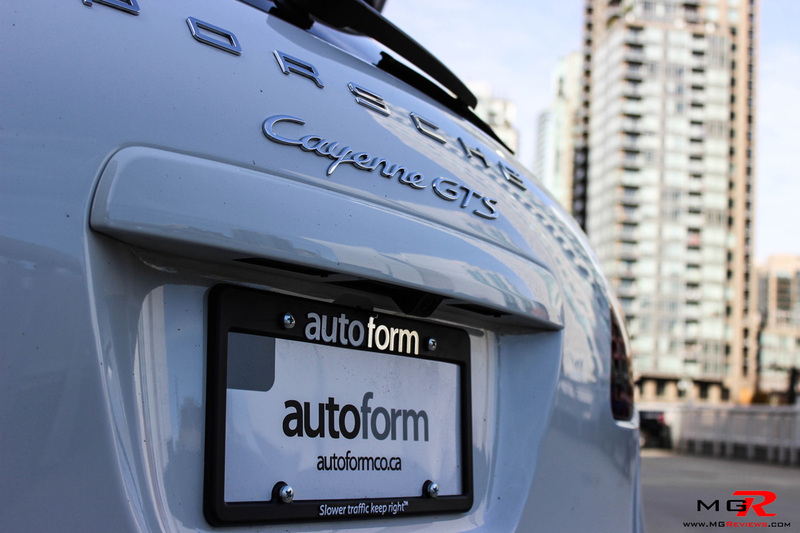 Bose surround sound system, Porsche Communication Management (PCM) with Navigation, universal audio interface, Bluetooth connectivity, rear seat entertainment, 4 zone automatic climate control, Park assist with reverse camera, Lance Change Assist (LCA), adaptive cruise control… and the list goes on and on. The interior was designed to keep the occupants as comfortable as it is humanly possible whilst travelling at autobahn speeds. 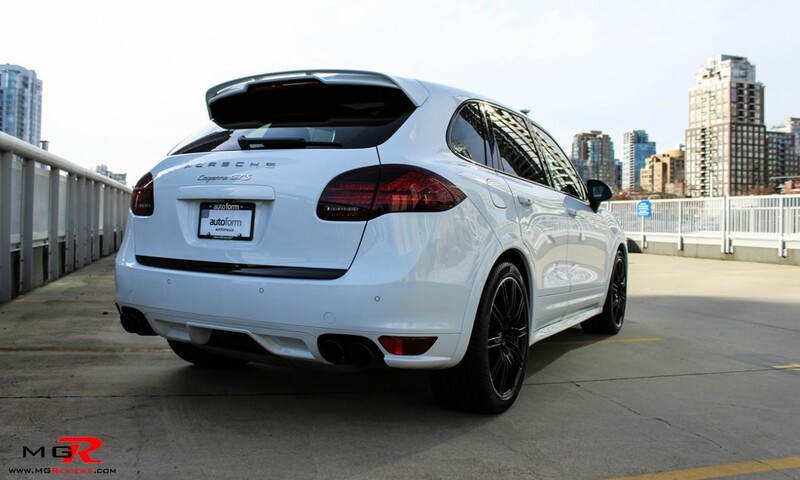 Odds and Ends – The Cayenne has never really been a looker compared to other SUV models. 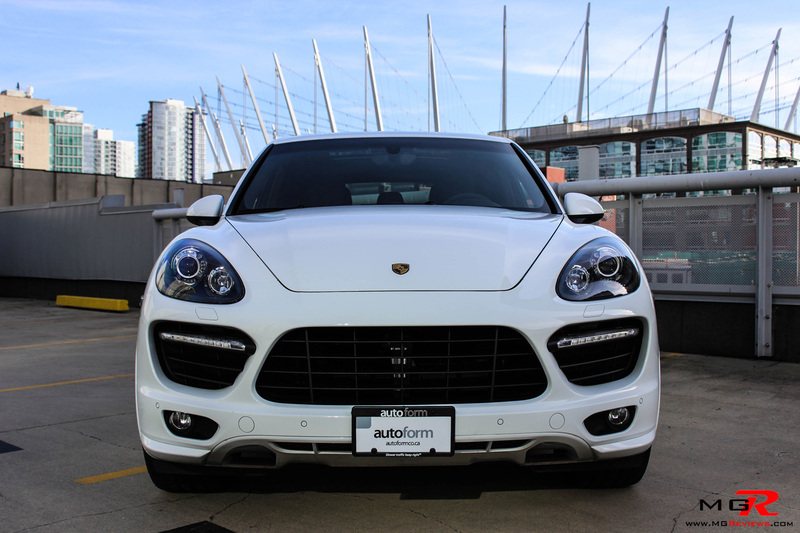 For this second generation Cayenne, Porsche redesigned the entire look of the body and it sort of worked. The front fascia is one of, if not the most, aggressive front I’ve ever seen on any vehicle with its gaping grill and low chin aero kit. From the side and back however, it looks like a “forgetful” shape. It’s not as striking as the front and it can even be mistaken for an Audi or Volkswagen (which it shares its chassis with). One more thing I will comment on is the engine note. Apart from the Corvette Z06, this GTS has the most aggressive sounding V8 engine I’ve ever heard with my own ears. 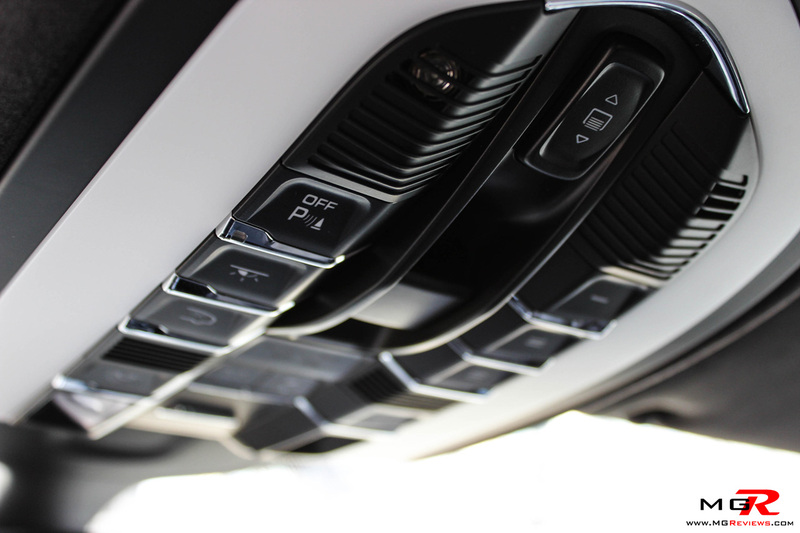 However if you want peace and quiet, push the comfort button on the center console and exhaust valves close which muffle and drown out the V8 rumble. 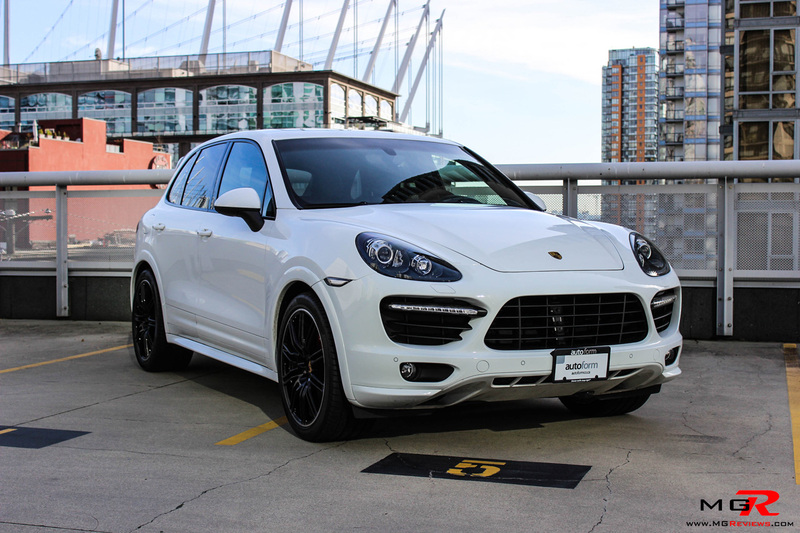 Like I mentioned earlier, I was never a fan of big SUVs but this Porsche Cayenne GTS changed my perception of them and it will change other people’s perceptions of SUVs as well. Reblogged this on Ridin' Girls.